The past week has been interesting. Turns out I was allergic to a prescription drug. So I had to take Benadryl, which essentially made me a groggy mess. After a drug-induced nap, I watched my Pats win the Super Bowl through a nail-biting second half and brilliant interception. (Speaking of drugs, what the hell was up with the Katy Perry halftime show? What an acid trip…sharks and surfboards, beach balls, Katy floating around on some star thing…. anyhow…I digress.) I woke up Monday to a dead/non-responsive cell phone, which I had had less than a month, as well as a coffee maker that had also died. Fabulous. So…I’m ready to focus on something fun. I’m thinking Mardi Gras. Crawfish and shrimp, jambalaya, gumbo, Abita beer (the Restoration Ale is my favorite), red beans and rice…. While I am craving something grilled, it’s just too cold and windy here. Maybe spice and rich flavors can make up for that, though. 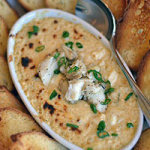 Here are some inspirational recipes if you decide to host a Mardi Gras party or just feel like having something good from the region. Jambalaya is one of my favorite cajun foods, besides shrimp, greens and grits. Even though Emeril Lagasse (Bam!) 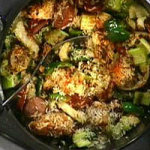 originated from Connecticut, he made such an impact on bringing the Louisiana style of cooking to the masses so I thought I would include one of his Cajun Jambalaya recipes. My first time to the Crescent City, my friends and I ended up at this little place in the French Quarter a little bit off the beaten path around lunch time. It was there I had my introduction to the Muffaletta—the rich olive spread, lunch meats and cheeses on fresh Italian bread was just the thing I needed after a late night. 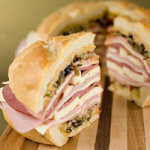 (As a party/finger-food option, make muffaletta sliders, using the soft King’s Hawaiian rolls). As another option, Martha Stewart has a muffaletta recipe that incorporates fontina, peppadew peppers and arugula. 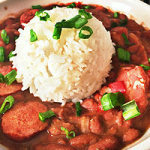 Red Beans and Rice with Sausage is something my husband orders almost every time we go to our favorite cajun joint near our house. I will say that theirs incorporates a hot andouille sausage that pretty much burns a hole in my gut, but it’s always flavorful. Perfect when it’s really cold outside, too. 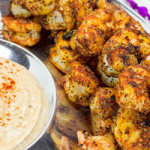 Cajun Grilled Shrimp with Spicy Dipping Sauce is something that would be good served on their own or over rice with the sauce drizzled over the top (the author mentions these are a big hit tailgating). Either way, guaranteed bites full of flavor. Definitely would be good with a cold beer chaser or a fruity riesling. I picked this Crawfish and Corn Bisque especially for those in the snow-ravaged areas of the country. If you can get your hands on Crawfish, that makes this a typical Louisiana dish; small shrimp, crab or lobster would be just as tasty. And the beauty of this soup? 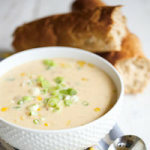 It incorporates canned goods (creamed corn, ready-made potato soup and evaporated milk) so it isn’t super time-intensive. I’ve been to New Orleans twice so far. 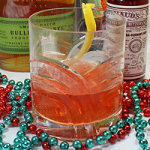 Something I will have to try the next time I go is the official drink: the Sazerac (“Hurricanes are for tourists. Sazeracs are for natives.”). The history of the drink is found on GumboPages, which mentions the drink originally was made with cognac—when that became more difficult to obtain, the switch was made to rye whiskey. 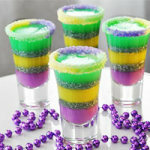 King Cake Jello Shooters. OK…they had me at shooter. And cake. These look like something special, and the cake-flavored vodka makes it a bit more enticing to me than any king cakes I’ve had in the past, which have been rather bland. The first time I had pralines was outside the farmer’s market, close to Cafe du Monde. Wow…talk about melt in your mouth sweetness. 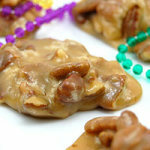 These New Orleans Pralines look like they will not disappoint. I mean, how can you go wrong with butter, cream and sugar?